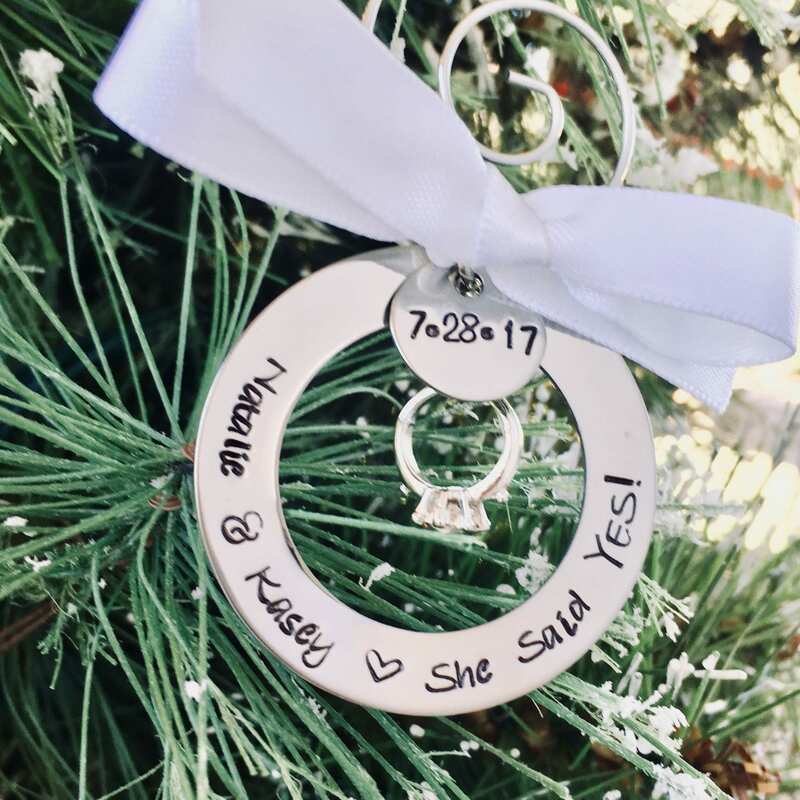 This sweet ornament makes a wonderful gift for anyone celebrating an engagement! 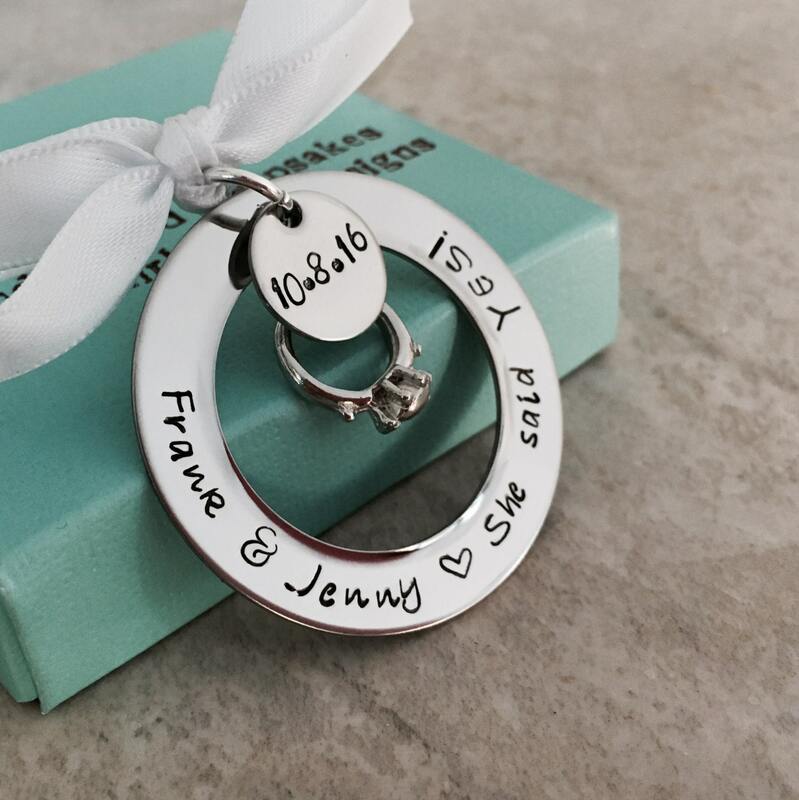 Outer circle is shown with Couples names, and "She said YES!" Please feel free to change the wording. 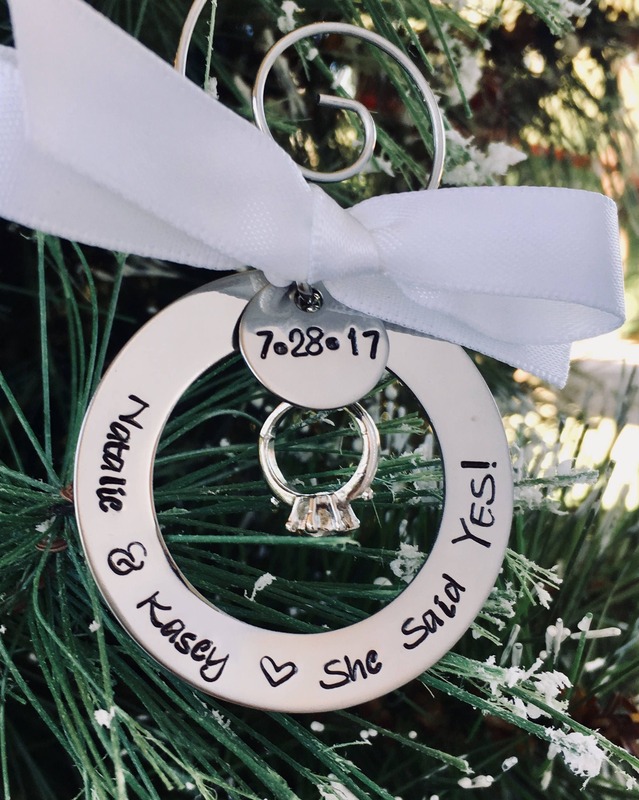 Small circle has the date of the engagement. Engagement ring charm and ribbon are both included. TO PERSONALIZE: Please use the notes section found on the check out page to let me know the details you'd like included in the ornament. Ornament measures 1 1/2" in diameter.